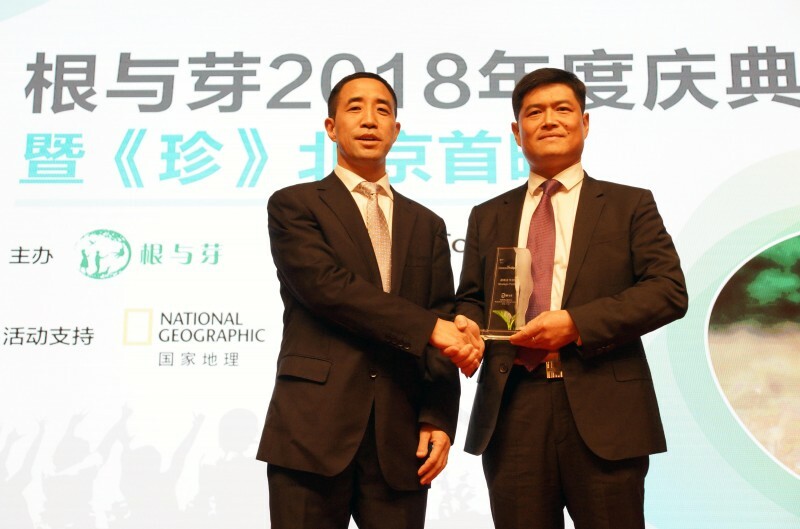 BEIJING, November 3 - ConocoPhillips China received the Strategic Partner Award at the 2018 Roots & Shoots Achievement Awards Ceremony. The honor was awarded to ConocoPhillips China in recognition of the company’s longstanding support of Roots & Shoots’ conservation programs. Mr. Yumin Yang, vice president of ConocoPhillips China, accepted the award on the company’s behalf. 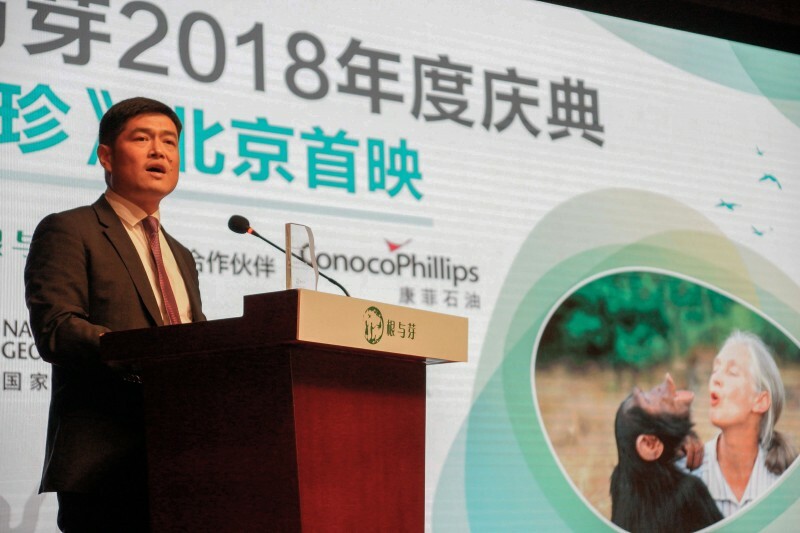 In his acceptance speech, he reinforced ConocoPhillips China’s vision in terms of Corporate Social Responsibility (CSR) and celebrated the achievements resulting from the cooperative programs with Roots & Shoots over the past 5 years. The annual ceremony is Roots & Shoots’ biggest event in China. This year, it gathered hundreds of students, teachers, volunteers, and public representatives from Roots & Shoots projects across the country. Guests were also invited to watch Jane, a highly-acclaimed and award-winning feature documentary, to experience the legendary life of Dr. Jane Goodall. General secretary of Roots & Shoots, Mr. Wang Huidong, invited Mr. Yumin Yang to jointly present prizes to the students, teachers and volunteers who delivered outstanding performances over the past year. As the world’s renowned primatologist and UN ambassador of peace, Dr. Goodall founded Roots & Shoots Environmental Education Program in 1991, in order to empower young people of all ages to become environmental and humanitarian leaders. In 1994, Roots & Shoots entered China to educate youth generations on the relationship between human and nature, and to encourage them to protect the environment, animals and communities. This year marks the 37th year of ConocoPhillips' entry into China and the 21st year for the company to actively promote CSR in local communities. ConocoPhillips attaches a great importance to global sustainable development, which requires the company to not only to seek short-term success but also to consider potential longer-term impacts on the countries in which its operates. ConocoPhillips believes that youth education is a primary force for driving future change. As a responsible corporate citizen, ConocoPhillips China is committed to helping enhance access to elementary education as well as integrating the concept of sustainable development into youth education. 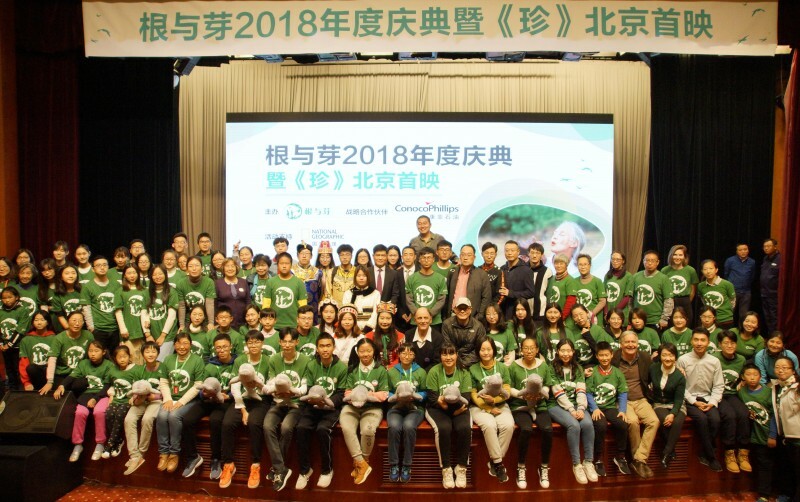 In terms of the importance of integrating environmental protection into youth education, ConocoPhillips China shares the same vision of Roots & Shoots and Dr. Goodall, who has devoted her entire life to this cause. The desire to help her achieve her vision is, in part, what has inspired ConocoPhillips China’s long-term collaboration with Roots & Shoots. “ConocoPhillips China is an important strategic partner of Roots & Shoots in China, and with its strong support, we have been able to successfully launch many CSR projects nationwide. Beyond providing financial support, ConocoPhillips China also applied its global innovative and forward-looking CSR strategy on specific projects,” said Mr. Wang Huidong, about the partnership. 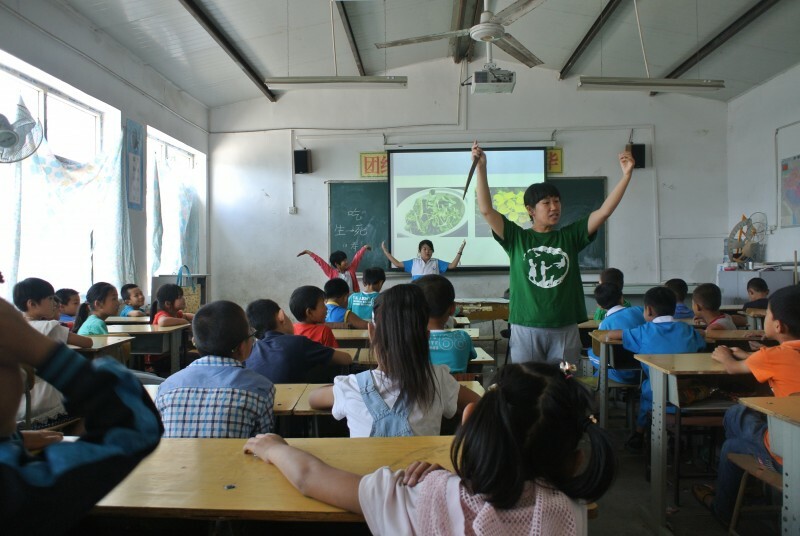 ConocoPhillips China and Roots & Shoots jointly developed the Clear Water Environmental Education (CWEE) and Migrant Children Environmental Education (MCEE) projects during their 5 years of in-depth cooperation. The goal of CWEE is to make the youth aware of the importance of wetlands protection, while MCEE continues ConocoPhillips China’s long-term commitment to help support equitable education for migrant communities. ConocoPhillips China’s collaboration with Roots & Shoots has left its mark nationwide. In the past 5 years, two projects have successfully engaged more than 2,500 teachers and volunteers, benefiting nearly 40,000 students. In addition to fostering an understanding of nature, these projects helped lay a solid foundation for the students to develop positive values and attitudes towards life, making them realize that the young generation should also shoulder social responsibility for environment and communities, while still pursuing economic development. Inspired by this award, ConocoPhillips China will continue to work with its partners to implement various and long-term CSR programs, which improve people’s lives in the local communities. “The roots creep underground everywhere and make a firm foundation. Shoots seem very weak, but to reach the light they can break through brick walls. Imagine that the brick walls are all the problems we have inflicted on our planet. Hundreds and thousands of roots and shoots, hundreds and thousands of young people around the world, can break through these walls."